Every so often I come across a book I literally can’t put down. 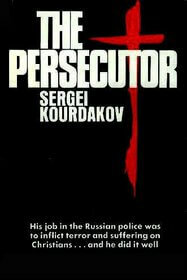 The Persecutor, by Sergei Kurdakov, is one of these books. I was lent this book by a friend who heard I was interested in the Soviet Union. She highly recommended it so I decided to give it a try. Sunday after evening church I opened the book and around midnight finally finished it. If that doesn’t gives you any indication of its excellence, I don’t know what will. As a child, Sergei was a ward of the state and quickly adopted a motto of Get Ahead, after a troublesome childhood which left him an orphan at age six in the care of state homes where the overseers hated the children they were supposed to care for. Sergei bounced through three different homes, finally ending up in the Barysevo home, where he would spend seven years. There Sergei quickly adapted to the survival of the fittest mode which was required and began to lead the other children in attacking their ‘aunts’ and ‘uncles’ who ran the house. Soon he became ‘king’ of Barysevo. When he left the home at sixteen with an impressive Communist record (including leading every Communist Youth organization he ever set foot in), Sergei was able to get a personalized recommendation from the director of the home, allowing him to become a cadet in the navy school at Petropavlosk. There he soon attracted the attention of the KGB, who wanted him to lead a covert operations unit to persecute Christians. The brutality which this man took part in made my blood boil. The clear contradiction between what the USSR said and what it practiced become only too clear after reading this book. Overall, Sergei led 150 raids on Christians in his city and region. Eventually, Kourdakov grew disillusioned with the Communist system. Kourdakov began to admire the believers he was persecuting for their stand against the Communist government, particularly a girl named Natasha, who he caught in meetings not once or twice, but three times. Sergei wondered what could cause a person to care for a single principle so deeply. He also began to notice that the files of the Christians indicated that they were good workers, honest and hard-working; the exact opposite of the average Soviet citizen he investigated. He began to question whether these were really enemies of the state. Sergei decided to resign from his job with the police, and continue his studies to be a Navy radioman. He did not want a part in destroying people which he could find no fault in. He graduated and prepared for his first assignment. When he boarded the ship, the KGB told him that when he returned, he would continue his former raids or lose his life. Sergei left knowing that he would never return to Russia again. Sergei made plans to escape to the United States, but his first real chance appeared when his ship requested safe harbor from a storm in a sound off the coast of British Columbia. There, in the middle of a terrible storm, Kourdakov jumped overboard and swam to Canada. He became a Christian and began to work on publicizing his former ‘work,’ until he was ‘accidentally’ killed by a gun blast at age 22, likely by the KGB. Kourdakov’s story shows so clearly the repression of the Soviet system and reminds us that governments in the former USSR still exist which carry out the same brutality against Christians. Now, as Christians still exist in repressive regimes around the world, this book is a call for our prayers for these people. This is also a good thing, for many people, like Kourdakov, are turning to Christ and abandoning their Communist roots. I highly recommend The Persecutor as an excellent autobiography for anyone, with only one reservation. I would caution younger readers about the book due to elements of brutality which are not over-described or gory, but simply a plain, unvarnished description of the events which took place. Truly, the raids which Kourdakov led and carried out were terrible, but they were the truth, and the world needs to hear of them. Wow! This sounds like a superb read! I’ll definitely be picking this one up in the near future. Thanks for the great review! I’ll definitely have to go find the book(: I’ve already reccomended this to my Youth Group, hope you don’t mind me posting the link? 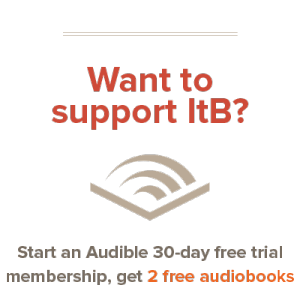 @Corey: It is a superb read; pick one up if at all possible. I just read it for the first time today, It was great. I could not put it down and now I am doing some research because so little is written about his death. It seems the family he was staying with would know what happened? The girl he was on vacation with would know as well. But I could not find anything about that at all.